It is not necessary to hire a stylist or designer to assemble certain designs or accessories in your outdoor space, according to your taste and desire. String lights work like a charm when we want to give some personal touch; You can Implement those professional decorating ideas without having second thoughts. Yellow lighting and greenery compliments each other very well. You can create a serene and calm place where you can relax fully. This style can be easily accomplished by using fairy lights or tube rope lights which will make your evenings dreamy and attractive. Both of this led walkway lightning can perform best and deliver the effect of glowing starfishes at the night time in the sea. Outdoor dining makes your dinner natural and makes you more healthy. 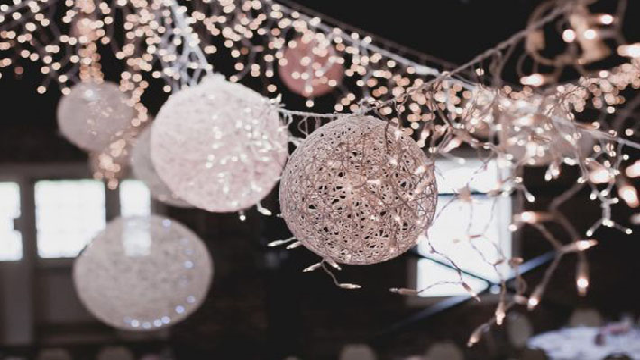 It’s a natural way to boost up your mood and lifestyle; you can make your outdoor dining experience more cozy and exciting at the same time by adding a touch of string lights. Outdoor string lights are waterproof, and because of that, you can leave your lighting decor outside forever without any concern of damage. This is one of the finest advantages of LED lights. The best option is to hang the stands of globe string light over the dining area. 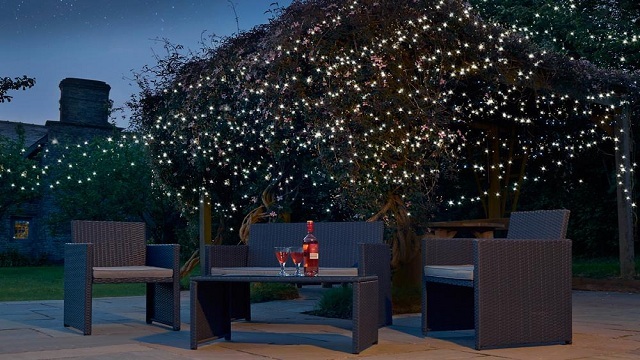 A little bit of raw wood, plants and string lights can enhance the beauty of your patio. 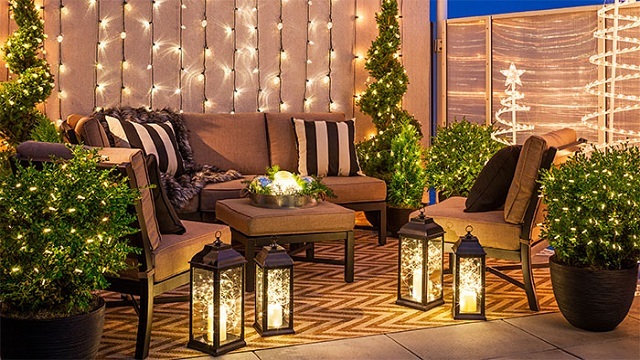 For patio decorations, we can also use colorful string lights, but warm globe light or fairy lights put the look together into a whole new level. Sometimes it’s really hard to manage with the shape of places or decorative items, i.e. square lawn or patio with a vertical fence or round lights. The key is to create texture and be creative. You can use different kinds of materials to construct the pergola in your backyard or patio. To achieve the rustic vintage look you can use old rusty ladder or vintage rod to build a canopy. If you are using some fabric to create more texture, then the ideal lighting you can use is curtain string lights. Fairy light and globe lights are also great options for the decorations, all of these lights allow you to get different kinds of lighting effects. Strings lights can be used on the ceiling and also for floor decorations. 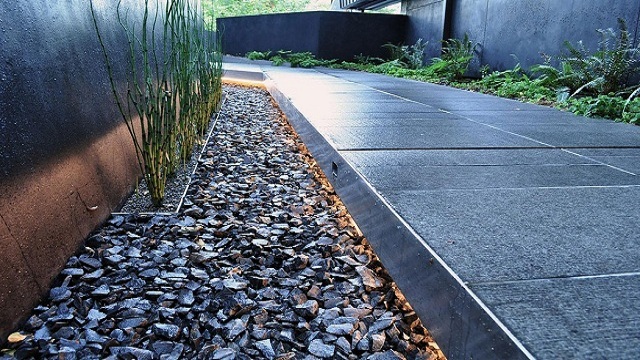 Garden pathways are mostly tiled or carpeted with small rocks to give a raw look. To create a mild glow, we can use rope or tube string light that will look good moreover it will guide you for walking in darkness. You can get very creative with led walkway lightnings with other kinds of string lights as well. 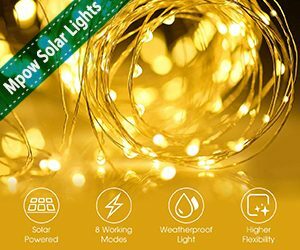 The basic feature of string lights is that they are adjustable and bendable. DIY products are very personalized and creative that can be achieved through simple things like fairy lights, plants, and supportive hoops. You can hang this chandelier with hooks in the middle of your pergola as your customized item. Colors bring back life towards you, what do you think? A slight hint of color can make anything pop. 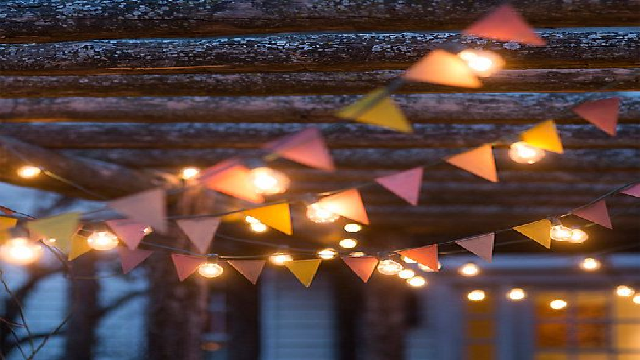 Use strings of colorful triangle fabric flags along with fairy lights or curtain lights, and you will observe a drastic difference in your decorative site. Lots of people plant dense plants in their gardens and lawns, i.e., Pachysandra and English ivy. Sometimes these plants look tacky because of spread bushes and for that string lights work very well. 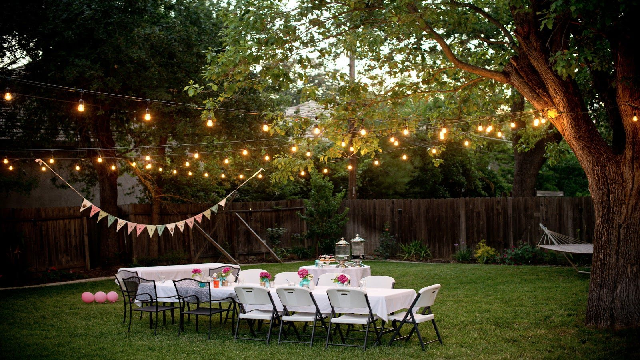 You can use curtain fairy lights or ornamental lights to decorate the garden. String lights are the best fit for fence decorations. 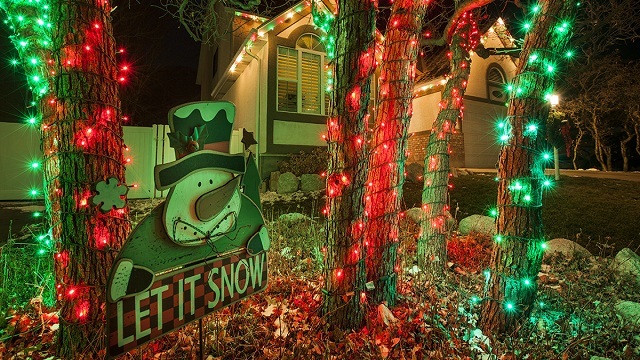 During Christmas, ornamental lights are used because they are most colorful. Moreover, curtain lights are used to drape down the fence that is perfect for selfies or works as photo booths at different events. You will admire the beauty that the strands of lights bring on your balcony. 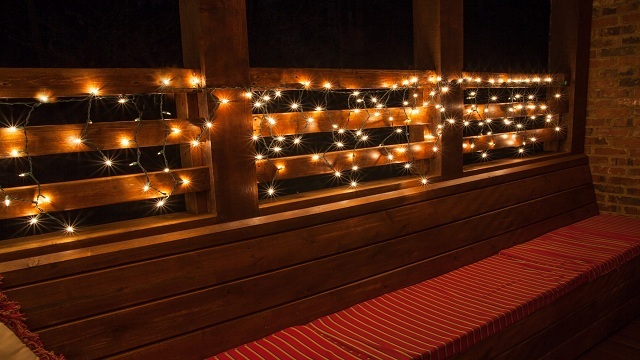 The glow of these twinkle lights can get maximized if you add them in clusters on the balcony of your room. Or for a minimalist look use 2 or 3 strands according to your design. 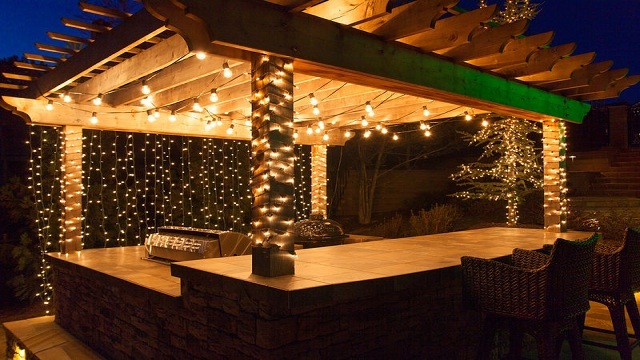 For your outdoor parties, you can use the bunch of strands falling from your pergola to form imaginary glowy walls. Most of the time mason jars are used in indoor decorations, but you can get think out of the box. 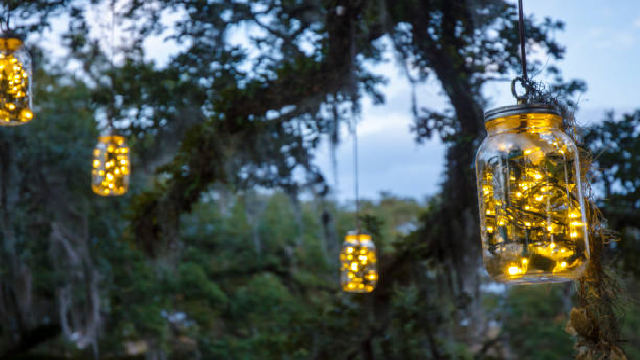 Put some fairy lights in the glass mason jars, and it will give you the effect of fireflies captured in the jar. You can hang them with the tree branches. Use wire rope lights and fairy lights to embellish the garden planters. A mild glare of string lights will enhance the ridges of plant leaves, that will be a treat to watch. Small light balls are made by yarn that is soaked in diluted glue and wrapped around the balloon. When the ball gets dried, pop the balloon inside use those yarn balls with fairy light strings, and that’s how you create a DIY fairy light ball. You can hang them under the pergola or trees. 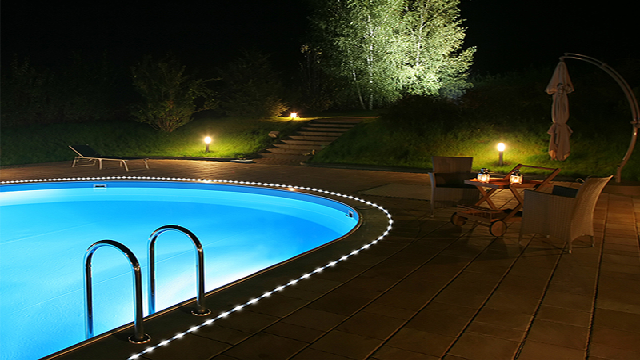 In your front yard, you can use rope light around the swimming pool. A slight glow near the boundary of the swimming pool will create the cascading effect that will make your swimming time more refreshing. Adhesive LED fairy lights are the best option to make your hammock glow. There are 3 options, one is to hang globe lights over the hammock stand, or the other one is to wrap the lights on the hammock stand. 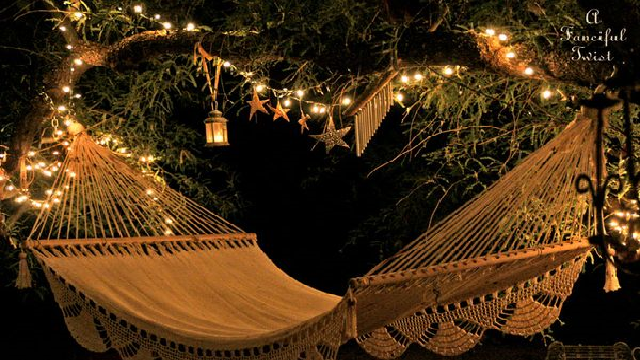 The best and last option is to hang the strands of lights with the tree branches over the hammock swing, that looks so classy. The most straightforward and dopest idea is to hang lights and different ornaments or accessory on trees. Globe light will give you some fancy look, and on the other hand, fairy light gives the impression of fireflies. The real question is how to hang string lights in the backyard without trees? You can hang them without any tool; they can adjust quickly to the branches of trees. Choose any wall where you feel comfortable to sit and relax and set up that seating area. Hang the strands of light on that wall that can be portrayed as an accent wall in your backyard or garden.